Peter started competing way back in 1969 (in company Mini Van!) and then did ten years in Rallying, mainly in Mini Coopers, which was followed by another fifteen years in hill climbs and sprints using Cooper 500s – small single seater racing cars powered by motorcycle engines. The Goodwood Revival meeting led to another ten years in these devices but now using them exclusively for circuit racing, winning the 500cc class twice in the 750 Motor Club’s 750 Trophy Championship. A couple of sixth places were also picked up at the Goodwood Revival, as well as a certain amount of notoriety for demolishing the chicane in 1999 – the first driver to do so since Jean Behra in his BRM in 1958. However, when Jean did it, the chicane was built of proper bricks, not painted on ones! 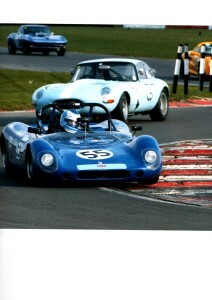 A Crossle 9S sports racing car was acquired in 2007 and used in the SRGT series for three seasons. The two litre Ford Zetec was built by Dunnell Engines and Mat Smith looked after the geometry to good effect. 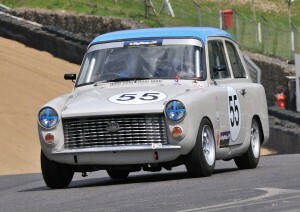 The Crossle was sold in 2011 and the present race car, a 1959 Austin A40 Farina was bought in order to participate in historic saloon car racing. The series chosen was the HSCC’s “By Box” Historic Touring Car Championship and so far the car has proved to be loads of fun and one hundred per cent reliable, having finished every race it has started during the last eighteen months of competing. Powered by an 1100cc “A” Series engine, it frequently gives a good account of itself in the up to 1150cc class and Mat takes more than a keen interest in the car’s set-up. 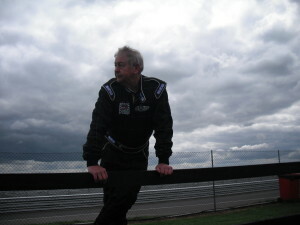 Currently lying fifteenth overall (from about seventy) and fourth in class (from twelve), the remainder of the 2012 season is looked forward to with great anticipation. Over the winter period the A40 will be at Mat Smith Sportscars for major suspension upgrades this includes rose jointing the front suspension and sorting the inherent bump steer issues with a steering box configuration.